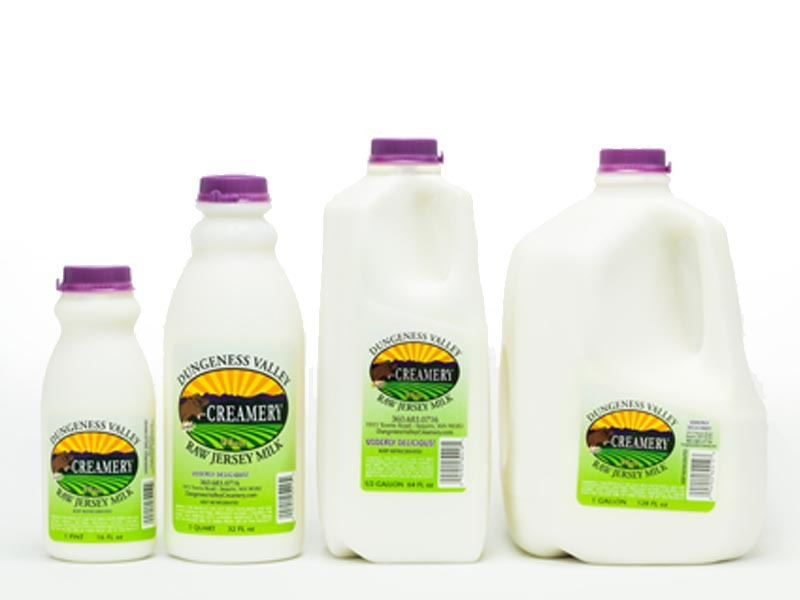 We offer our whole raw milk in Gallon, Half Gallon, Quart, and Pint sizes. We also offer whole raw cream and skim. Restock on local food when the snow melts. 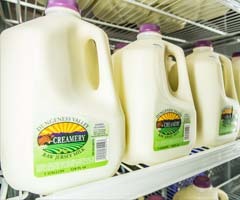 Stop in at the Creamery and get milk, cream, eggs, hamburger, cheese, cookies, and chocolate. Then go to Nash's for fruits, vegetables, bread and more! Enjoy the bounty of the Dungeness.